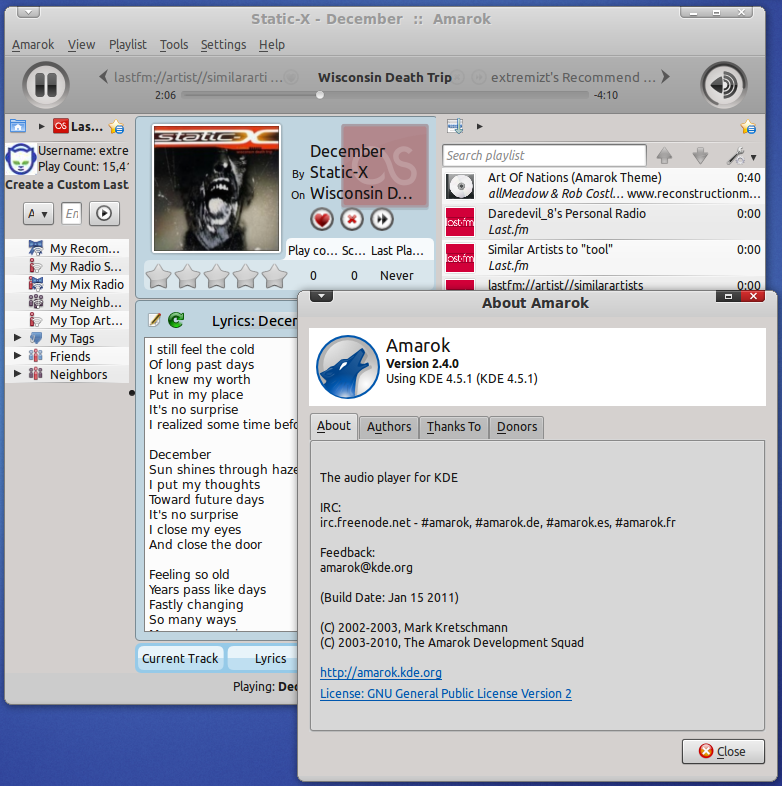 Amarok 2.4 codenamed "Slipstream" was released some days ago. Amarok has evolved a lot over the year and we had followed the Amarok evolution in its each and every step. 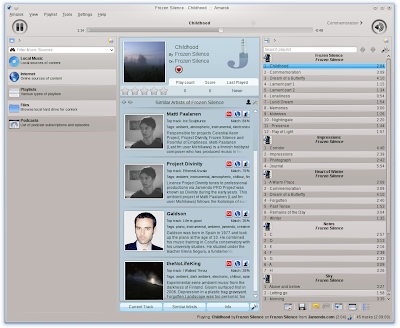 Now with the release of Amarok 2.4 final, a lot has changed. Here is a quick preview. What's New Amarok 2.4 "Slipstream"? 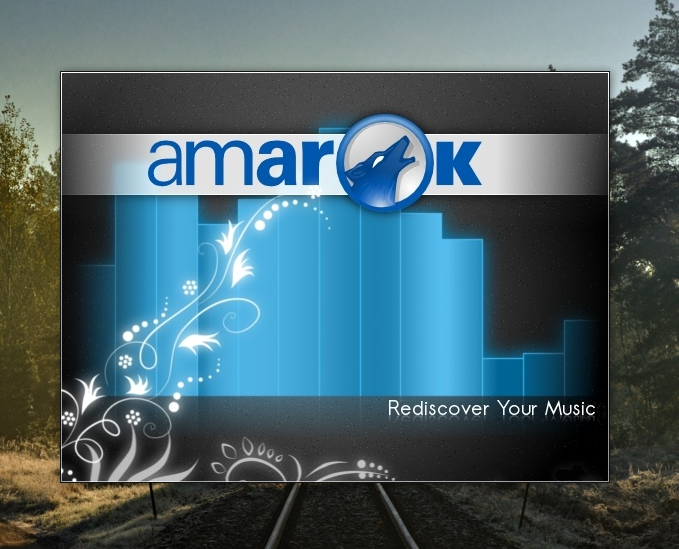 As with every new release, one of the highlights of Amarok 2.4 is its refreshingly new splash screen(ref: screenshot above). The new one is just superb. 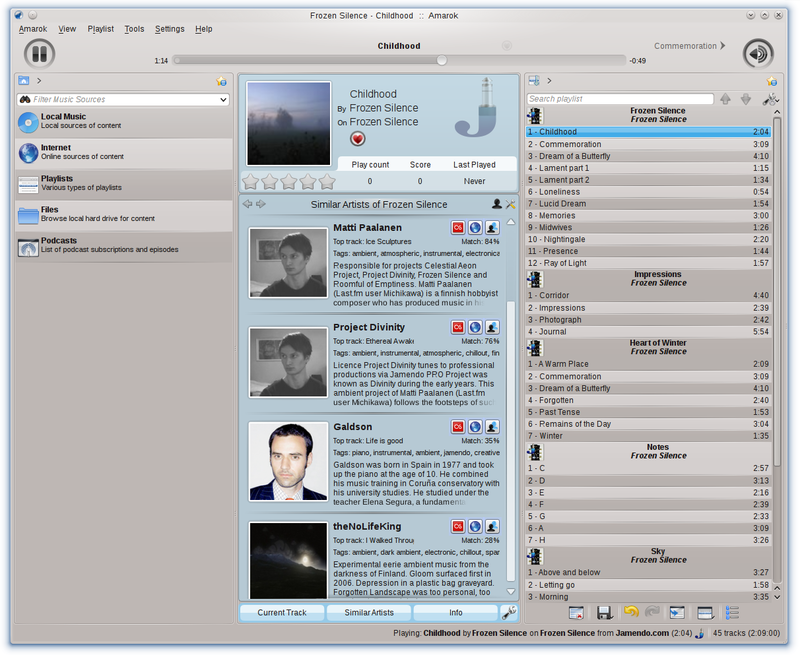 Amarok 2.4 brings significant performance, usability, and stability improvements. Amarok now has the ability to write your statistics and covers directly to the audio files to keep the information across different devices and should detect compilations a lot better. New Amarok 2.4 adds the ability to use iPod Touch 3G and possibly newer devices. Amarok 2.4 has a new applet that fetches guitar and bass tab information for all your string instrument needs. Full list of changes here. How to Install Amarok 2.4 "Slipstream" in Ubuntu Maverick, Natty? Do the following in Terminal to install latest Amarok 2.4 in Ubuntu Maverick, Natty. Kubuntu-restricted-extras package lets you actually play the music in Amarok. Here is my all new Amarok 2.4 running in Ubuntu Maverick. Hope you were able to install latest Amarok 2.4 in Ubuntu without any issues. You might also want to give a try at incredibly awesome Amarok 1.4 fork too - Clementine Music Player.